Play your favorite online slots at Grande Vegas Casino with a 100% bonus and a $100 free chip reward! Redeem the coupon code WED6219 to claim your 100% bonus, and after you've played your deposit, redeem the $100 free chip coupon code WED6219-FREE by February 13th and spin the reels to win up to $250. Good luck! Coupons must be redeemed in order. Grande Vegas Terms & Conditions apply. $100 free chip holds $250 max cashout; 60x wagering, $10 max bet. This bonus pack is valid until 13 February 2019. This bonus is only valid for customers with a valid deposit within the last 30 days (today included). General Terms & Conditions apply. The maximum payout is $180. Max bet rule. Do not claim two free bonuses in a row. This bonus code is valid until 28 February 2019. This bonus can only be requested after one successful deposit in February 2019 has been completed. $10 max bet; Expires 28 February 2019. General Grande Vegas Terms & Conditions apply. $180 max cashout 60x wagering on slots. 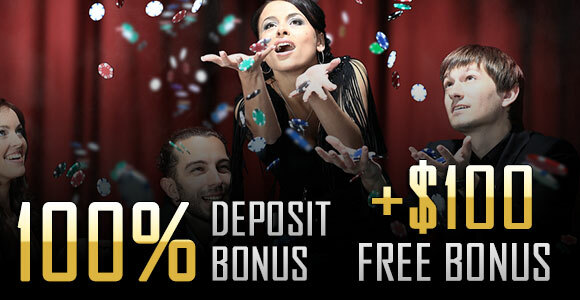 Claim Your 100% Bonus and $100 Free Chip at Grande Vegas Casino!